Before I get into this recipe, I have some explaining to do. This has been my longest absence from Busy Girl Healthy World since I started this blog two years ago. Let me just start by saying that my Busy Girl life got infinitely busier over the last month or so. As you know, I work as a speech-language pathologist for a public school district in PA. We added a new Autistic Support program this year in my building that added to my already full caseload and I have been crazy busy at work all year. Well, if any of you work in education you know that springtime is IEP season and I’ve been swamped with evaluation reports and meetings. Each night when I get home I just don’t have the time to write posts, and the weekends have been filled with events so I haven’t had many opportunities to develop and photograph recipes. On top of all of that, I just began pursuing a second master’s degree (this time in Education) so I have been preparing for that program to begin next week. This summer, I will be working part-time and taking three graduate courses. I’m hoping I will still have time to develop recipes, because I truly love it. Be patient with me! I am always posting on Instagram and sharing recipes from other bloggers that I’m currently making and loving and I will continue to do that on a daily basis. You just may not see as many original recipes posted here, but I will do my best! NOW, on to the recipe. 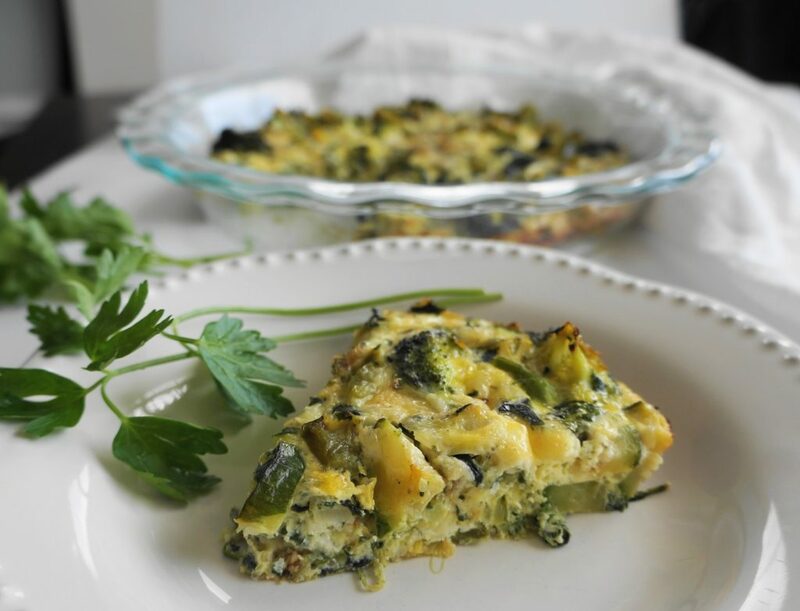 This Super Green Vegetable Frittata is everything. Frittatas have been my go-to weekend breakfast lately. I love how I can throw them in the oven and let them bake while I do other things around the house. This recipe also makes multiple servings, and leftovers are great for heating up in the microwave for busy weekday mornings. 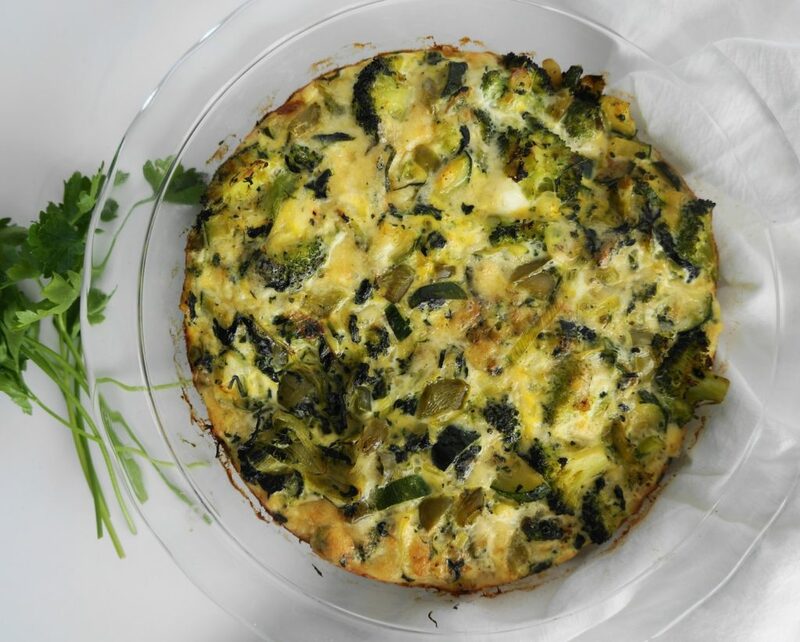 This Super Green Vegetable Frittata was inspired by the Spring Scramble from the Tone It Up nutrition plan. I loved how the scramble had leeks and broccoli in it—two veggies I don’t normally put in my scrambles. I decided to add a few more green veggies (zucchini, green bell pepper, and spinach) to my frittata as well as whole eggs, egg whites, and a little bit of white cheddar cheese. 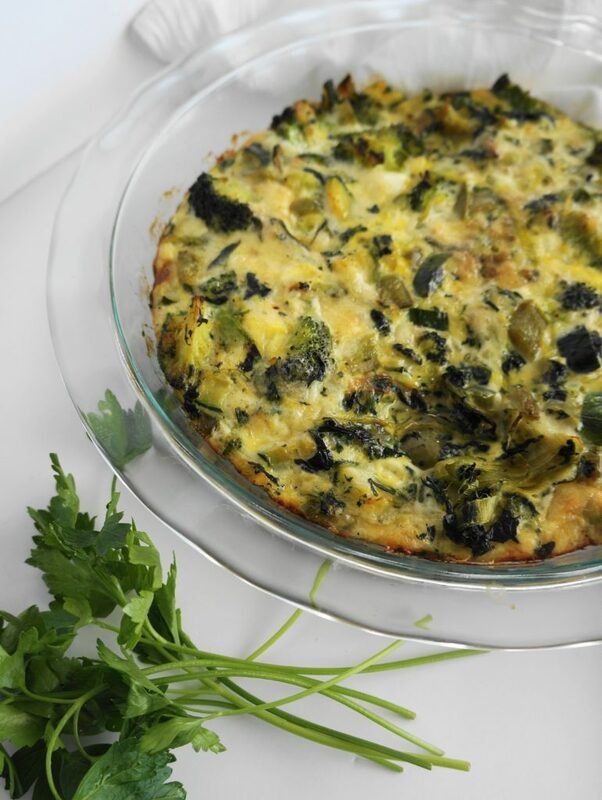 The frittata is filled with protein and so many nutrients from all of the green vegetables. The frittata is delicious as is, but I also served it with a spoonful of fresh salsa and that was really fresh and enjoyable as well. It’s also great with a slice of Ezekiel toast or an English muffin. 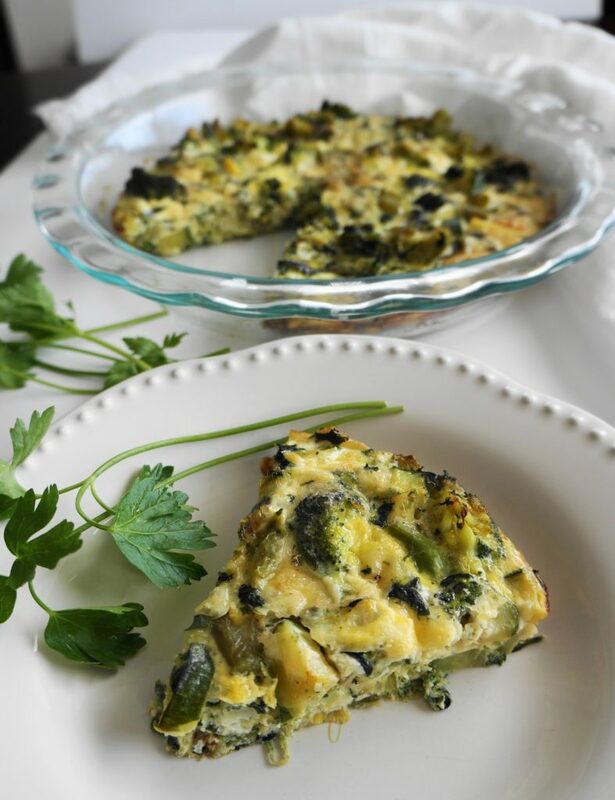 If you make this Super Green Vegetable Frittata, let me know how you like it in the comments or take a photo and tag me on Instagram! Preheat oven to 350 degrees F. Spray a 9-inch pie plate with cooking spray and set aside*. Heat olive oil in a large pan over medium heat. Add the leeks, bell pepper, and spinach and cook, stirring occasionally, until softened (about 5 minutes). Add the spinach. Off the heat and transfer the vegetables into the prepared pie plate. Sprinkle shredded cheddar cheese on top of the veggies. In a small bowl, wisk together 3 whole eggs and 4 additional egg whites (set aside yolks for another purpose). Season with the salt and pepper. Pour the eggs into the pie plate evenly over the veggie and cheese. Use a spoon to incorporate the eggs a bit. Bake in preheated oven for 40 minutes, or until the center is set and edges begin to brown. Cut into 6 slices and serve. Leftovers keep in an air-tight container in the refrigerator for up to four days.